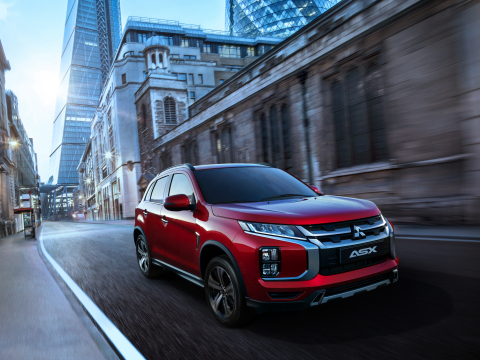 Mitsubishi Motors Corporation (MMC) will globally unveil the 2020 model year Outlander Sport at the 89th Geneva International Motor Show*1 to be held March 5-17. The Outlander Sport is a compact SUV designed for the city, offering wide-ranging versatility that makes it perfect for everything from everyday use to exciting adventures. Its lightweight, compact body combined with an SUV’s commanding driver sightlines give the Outlander Sport excellent handling and easy drivability. The Outlander Sport is now available in vivid, intensely brilliant Red Diamond, sporty and energetic Sunshine Orange, and sleek, refined Oak Brown. The Smartphone-link Display Audio (SDA) has been improved, and now offers more advanced connectivity. MMC has set up a special website at the following URL to provide the information about its exhibits at 2019 Geneva International Motor Show. *Press releases and photos can be downloaded for use from the addresses below.